Today, when I have logged onto any type of social media, I have been bombarded with the newest topic up for discussion and debate: suicide. Normally, these articles wouldn't affect me so much, and I could find a way to logically separate myself from the painful comments and dismiss them. However, due to recent events in my life, I have been incapable of stifling my emotions while reading articles, comments, and posts. Getting off of Facebook and avoiding the news have been the best route for me to go, but I felt compelled to write down my feelings regarding suicide and share them. Typically, when I feel the overwhelmingly strong desire to write about something I feel passionate about, I am able to squelch the compulsion and move on. This time, not so. When I was a child, I often heard stories about my great uncle Cece. His black and white portrait hung in the hallway of my grandparents' house, and I often found myself drawn to his picture, studying his face. He was remarkably handsome (and young) in his army uniform. The smallest hint of a smile was upon lips, and the softness in his eyes suggested he was a kind man. By all accounts, Cece was a wonderful person; he loved his wife, adored his young daughter, and was well-respected. The thing I could never understand was why he committed suicide. I knew the details leading up to the incident: his wife left him for another man, took their daughter, and was threatening to keep him away from his child for the rest of his life. Feeling completely hopeless, he went to the train tracks, laid down, and waited. Emotionally, I knew he must be hurting to take his own life, but logically, I saw the ramifications of his actions decades later (a grandfather, who had been more like a father to his younger sibling, racked with guilt to his dying day) and came to the conclusion that suicide was incredibly selfish. Suicide had robbed his family of more time with the man they loved, and his child would definitely grow up without a father because of his decision. Of course, I felt sorry for Cece, but at the time, I had no way of knowing how complex human emotions can truly be. I also had no knowledge or experience with mental illness. Years passed and I found myself thinking about Cece one morning. It was my junior year of college, and I was in the throes of prolonged depression. After struggling to admit I had a problem, I finally broke down and called my mother as soon as I knew she would be awake. I sobbed as I pleaded with her to come to Utah and help me. I knew something was wrong with me emotionally and mentally and that I couldn't overcome it alone. Thankfully, I was able to put aside suicidal thoughts, walk to my college campus, go straight to the counseling center, and stand there. I couldn't even ask for help. I just stood there and sobbed. I remember the receptionist was looking downward as I approached her desk and quickly told me in a dismissive voice, "If you're here without an appointment, we can't help you today." And then she looked up. Whatever she saw in my face had her quickly changing her tune. She stood up, came around the counter, and hugged me as I sobbed. I managed to tell her, "I need help." She muttered some soothing words, took my hand, and walked me to a room. The walls were empty and cardboard boxes littered the floors. She quickly explained that the lack of available appointments was due to one of the therapist retiring that day. She continued on, saying he would make an exception and see me immediately. I don't remember what we talked about when the therapist eventually entered the room, but I do know I had come to my own conclusion that something inside of my mind wasn't right. I was struggling with the concept that I was now a "depressed person." How had this happened to ME?? My identity, for the large part, had always been based upon the fact that I considered myself to be upbeat and positive. In high school, one of my senior superlatives was "Most Distinct Laugh" because I was always laughing and smiling. The reality that I was no longer that charismatic person was unsettling and sent my whole mental state into a tremendous upheaval. I wasn't a depressed person. I couldn't be depressed because that meant admitting I had issues I couldn't handle on my own. Fortunately for me, though, I was finally able to ask for help when I needed it the most. I had loving friends who picked me up from the counseling center and then took me to IKEA (because it sounded like a "happy" place to me) while we awaited the arrival of my mother. Things improved for a while with the help of therapy. A few years later, I found myself utterly drowning again. I was a young mother with a colicky newborn, and I was battling extreme post-partum depression. For weeks, I wasn't able to make the connection that something wasn't right mentally and that I needed to ask for help. I had a beautiful, healthy child, a loving husband, a new home, and a seemingly wonderful life. Why was I so sad? Who was I to complain? At church, I felt completely isolated by my depression. I felt like everyone could see how miserable I was and that they could tell I was only pretending to fit in. Illogically, I began to think everyone was judging me and condemning me to wear some sort of scarlet letter that announced I was a fraud. If they knew I was depressed, they might think I wasn't righteous enough or praying enough or believing in the Savior as much as I should. As I lay awake in bed one night during this time (listening to my colicky baby scream and scream), I was reminded of a scene from the movie The Hours. I had watched this film years earlier in a high school English class and one scene came to my remembrance with a powerful rush. Julianne Moore's character is a 1950's housewife who is struggling with severe depression. At one point during the movie, she drops her children off with a neighbor and goes to a hotel to commit suicide. She lays on the bed as she contemplates death and begins to dream. In her dream, the room is suddenly flooded by rushing water. She and the bed are engulfed by the flood, and she is literally drowning in her own grief and sorrow. That is how I felt. My younger sister Lora's fifth child had been born with Down Syndrome. Sarah was delicate and beautiful, with dark black hair and deep, deep eyes. Her condition was critical because she had a heart defect which would require surgery if she was to live, but she had to become old enough and strong enough to survive the operation. She did not make it, but died gently, almost imperceptibly, in her mother's arms.The day following Sarah's death I went with my sister to shop for some things she needed, including a little locket for the baby to be buried with. As we walked through the mall, my heart ached. I longed to run ahead and say to each sales clerk we were approaching, "I know we just look like two young women out shopping, but her baby died yesterday. Please be kind to her." Some were kind,and some weren't. But the experience had a lasting impact upon me. For years afterward I would watch people — look into the face of a man or woman who was being rude or impatient on the highway, at a store counter or waiting in a line.I would think: How do I know what they are going through? Maybe they found out they have cancer, or lost their job. Or perhaps someone they love very much has just died. What is happening inside, what burdens they are struggling to bear, do not show in their faces — any more than it had shown in my sister's and mine. After hearing these words, I knew I was depressed. I was almost desperate for someone to ask me what was wrong, yet terrified at the same time to admit I wasn't myself. I lived on the brink of a nervous breakdown and worried that even the smallest amount of criticism from a friend or even stranger would send me over the edge. As I thought about Susan Evans McCloud and her song, l began to realize (again) that in addition to feeling overwhelmed, there were also some chemical and hormonal imbalances in my mind. I eventually was able to receive the help I needed. I also knew her lesson had been the answer to my fervent prayers--said when I felt the weakest and most alone. This song and its moving lyrics recently resurfaced in my life. While reading an article on suicide, the author wrote how stumbling across the words, "In the quiet heart is hidden, Sorrow that the eye can't see" helped her come to terms with her sister's death. I know I have been searching for comfort myself as I try to process the suicide of my stepfather. He passed away four weeks ago. After all of my own experiences with depression and suicidal thoughts, I still wasn't prepared for suicide to impact my life the way that it has. For the past 28 days, it doesn't feel like what happened actually took place. It's too horrible to process most of the time, so I try my best to avoid thinking about it. But when my children are sleep and I'm laying in my bed, I stay awake imagining how my stepfather, Steve, must have felt before he ended his own life. I have cried, pleaded with the Lord for understanding, and prayed for peace to come into to my heart. I have felt saddened, frustrated, confused, hurt, and found myself saying out loud into the darkness of my room, "Why? Why, Steve, why?" Just a few weeks ago, I admitted that earlier this year I had suicidal thoughts due to my pregnancy related sickness. The night after my feeding tube was inserted, I cried as I tried to speak to the nurse in order to tell her I just wanted things to be over. There was too much physical pain and mental trauma. I didn't want to try anymore. And despite the feelings of empathy and sympathy, I still hurt. I still grieve. I hate that this happened. I want to be angry with someone, and I want to scream and voice every frustration and grievance. But, like my sister said, "suicide leaves you without someone to be upset with." How could we possibly be angry with Steve when he was obviously hurting without our knowledge? There were no signs or indicators to show he was depressed (and certainly not suicidally depressed), so our family has been left with a lot of questions and profound confusion. I keep coming back to the hymn and the fact that in Steve's case, his sorrow was truly hidden. He carried his grief alone; he allowed no one to shoulder his hurt (and that sounds like something he would of course do). It's been hard to separate the gentle man who so lovingly took care of my mother and was kind to my children with the person who took their own life. As I've thought about it more and more, I have come to the conclusion that it's hard to separate these two images of the man I knew because I shouldn't be trying to create a division in the first place; the Steve that committed suicide is still the same man who loved my mother, the Gospel, and his family. No actions will change that. I have read hurtful comments that suicide is "selfish" and "a choice," but I disagree. With the cases of my uncle Cece and now my stepfather, I believe they both saw suicide as the only option. In some convoluted way, they thought that ending their own lives would actually mean they were less of a burden to those they loved. That might not make sense to some, and I suppose that's okay. It makes sense to me, and it's helping me come to terms with Steve's unexpected death. I know that death (including suicide) cannot change the the character or the legacy of a person. Placing further judgment and condemnation upon a person who is already dead is never necessary. Instead, we should continue to love them and show compassion and mercy. I'm still learning how to do this, but I can say with a certainty that it is helping. As the Apostle Peter wrote, we are to have "compassion one of another, love as brethren, be pitiful, be courteous'" (Peter 3:8). And lastly, I wanted to share some words from a talk given by Jeffrey R. Holland. I truly love this man and the counsel he gives. Whatever your struggle, my brothers and sisters—mental or emotional or physical or otherwise—do not vote against the preciousness of life by ending it! Trust in God. Hold on in His love. Know that one day the dawn will break brightly and all shadows of mortality will flee. Though we may feel we are “like a broken vessel,” as the Psalmist says, we must remember, that vessel is in the hands of the divine potter. Broken minds can be healed just the way broken bones and broken hearts are healed. While God is at work making those repairs, the rest of us can help by being merciful, nonjudgmental, and kind. It is my sincere desire that we can be more willing to pause and lift one another and refrain from passing judgments. Let's just love and support one another rather than assume we know what is going on in the lives of others. After the twins were born, I looked at them and thought: "Three kids is enough. I'll be happy with that number of children." 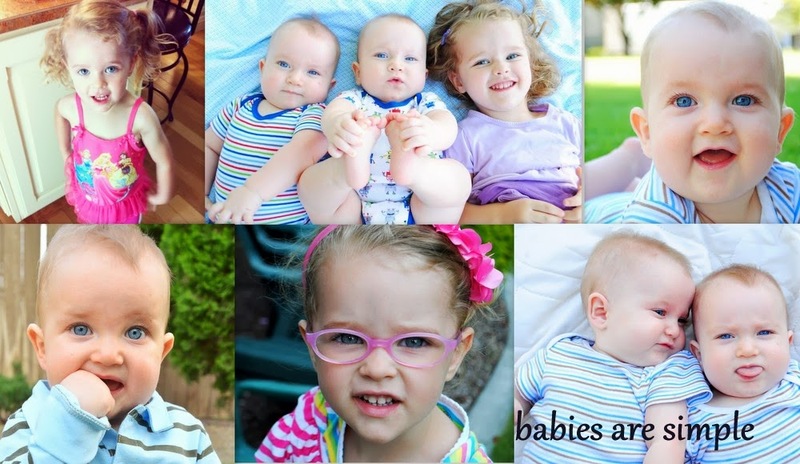 I told myself to remember how blessed we were to have three healthy little ones and not to focus on the large family of four or five children I had envisioned before marriage. Logically, I knew it wasn't a possibility. Months and then years went by before I finally acknowledged that our family wasn't complete. Someone was missing. Instead of being happy or excited about welcoming a fourth child into our family, I was filled with dread and even despair. Although the idea made me overjoyed, the reality that I would have to endure pregnancy another time kept me awake at night praying, thinking, and researching why I am one of the 1-4% of women who suffer from Hyperemesis Gravidarum (HG). When I was pregnant with Eliza, I couldn't stop throwing up. By the time I went to the emergency room for fluids, I was severely dehydrated and reprimanded by the doctors and nurses for neglecting my body and my unborn child. I just thought pregnant women got sick and assumed I was complaining about normal symptoms. A few weeks later, while visiting my OB/GYN for the first time, my doctor discovered my body was going into renal failure and diagnosed me with Hyperemesis Gravidarum; I was incredibly sick. He gave Nathan and I such a stern lecture on taking care of my body that Nathan almost passed out. When the doctor told us I could die, I remember Nathan's legs buckling as he sank to the ground. I was immediately admitted to the hospital, set up on IV therapy, and somehow survived without long term damage to myself or Eliza. My pregnancy with the twins was a similar situation. This time, though, I asked for help. I even begged for help when doctors began running out of viable options. I received IV therapy, had a feeding tube inserted, and lost 20% of my body weight despite constant rounds of medicines and fluids. Throwing up 20 times a day left me so weak that I could not work. Because of the severity of my illness, my job actually considered me to be disabled. I remember thinking how accurate that word was to describe me. My father is a paraplegic, so I have always taken disabilities seriously, and I do not use that term lightly. My medications left me so drugged that I could not drive, I alternated between vomiting constantly and sleeping because the medicine didn't have any real effect on my body and sleeping helped me escape the torture, I relied on my husband and my mother-in-law to bathe me and brush my hair and teeth, and I couldn't go to any appointments without a wheelchair nearby. Becca would come by most days and just sit with me, and Amalia would help braid my hair. I remember being too ashamed to have most people visit me because I felt like I couldn't control my body or who I was. I didn't want people seeing me wallowing in self-pity and trying desperately not to give into the sadness that was overtaking my life. The night after my feeding tube was inserted, I lay awake listening to the machine pump formula down the tube that was inserted through my nose and into my intestine. I could hear Nathan breathing beside me and tried to focus on his comforting presence, but after a few hours, all I could hear was the machine. I couldn't sleep, I couldn't move without the machine following me, and I felt trapped. I began praying to Heavenly Father and asked Him to take this trial away from me. I prayed and told Him that I had learned everything that I wanted to know from this experience and that I would be okay with no longer living like this. All the while, my throat burned from the tube rubbing against its raw tissue, and I did my best not to cry because becoming upset only caused the tube to move and created more painful friction. Eventually, I couldn't stop the tears. I felt sorry for myself. I felt angry this was happening to me. I wanted to die. I knew I psychologically and emotionally couldn't handle much more. I had reached my breaking point. The next day, I vomited so forcefully that the feeding tube became dislodged from my small intestine. My prayers had been answered (although in a round about way), and I pushed myself to drink Carnation Instant Breakfast constantly in order to avoid another tube. This is what I had hoped to avoid experiencing ever again. I am currently 17 weeks pregnant with our fourth child, and I unfortunately have gone through almost the same exact trials once more: IVs, hospitalization, a feeding tube insertion, and even vomiting up the feeding tube. The silver lining this time, though, is that during my feeding tube insertion, doctors did a biopsy of my small intestine and discovered I have an extreme case of Celiac Disease. I have been gluten free for 5 weeks now and able to eat small meals once or twice a day for 2 weeks. Because my small intestine is so destroyed and weakened, my gastroenterologist told me I would be dead in 5-7 years if I did not stop eating gluten; I suppose I did have more to learn after all. I have hesitated to write about my current pregnancy because I knew that most of my posts would be negative due to the trials in my life. I also know that my experiences with Hyperemesis may make it seem that I am ungrateful for my fertility, but I assure you that I am indeed grateful for my children and my body's ability to produce such healthy babies. I just wish my pregnancies were a little less cruel. I have been keeping a journal during this pregnancy, but finally decided to share my story after speaking with my doctor. A few weeks ago, he told me, "Please promise me you'll keep a journal of what you are going through. One day, your child should read about everything you were willing to endure to have him or her. And even if you don't think you are strong, you are. You knew it would probably be like this and you decided to have another baby anyway. To me, that takes courage." And yes, to me, Hyperemesis Gravidarum is about having courage. It's about surviving countless IV insertions and bouts of nausea and vomiting and focusing on the ultimate goal: having a child. I'm not saying I'm a hero by any means (because I have cried countless days), but I am able to face each trial because I have the knowledge that it will all be worth it in the end. Sometimes, this goal seems far away because this illness is such a thief. I feel like months of my life have been stolen from me. For weeks, Eliza would come to my bedroom and tell me, "Mama, you missed all the fun today while you were in bed." And for months now, my husband has been the sole parent, a full-time student, an employee who works from home, and a nurse who administers my IVs. He has done it all, and it has taken everything from him in return. Seeing Nathan and my children suffer because of my sickness has been demoralizing. I have suffered from immense feelings of guilt and have felt like an incredible burden to everyone I know. Furthermore, I have felt completely alone with the severity of the sickness. My doctor told me I was the sickest pregnant woman he had ever seen during his 30 years of practice. A few days ago, he hugged me and with tears in his eyes told me that knowing I had gained weight was an answer to his prayers. He let me know he had never seen someone "so desperate for relief" and that thoughts of me crying in my hospital bed often kept him awake at night (and yes, my doctor is the nicest man in the world). I was crying that night because I felt like no would could ever know how much pain I was feeling. I felt like my ability to relate to others was taken from me. Ultimately though, Hyperemesis Gravidarum has forced me face the reality that I will never have more children biologically. I know I will never put myself or my family through another pregnancy again, but I obviously do not regret any of our pregnancies. I am grateful for our wonderful friends and family members who have gone to the hospital with me, brought us meals, watched our children, cleaned our house, and braided my hair. My current pregnancy has shown me the selflessness others possess, and Nathan and I have been truly overwhelmed by love. I'm trying to focus on how fortunate we are to know so many loving people rather than the torture I have endured. It helps most of the time. I'm just glad the worst is over (although an IV currently remains in my hand). 16 weeks and doing better! Today is HG World Awareness day, and I thought I would tell my story. For more information on Hyperemesis Gravidarum and support if you or someone you know is suffering from this illness, contact the Hyperemesis Education and Research Foundation (HER) at http://www.helpher.org/. Yesterday, Becca ended up taking me to the emergency room for fluids. I was dehydrated after days of vomiting and so weak I could barely get out of bed. I felt like we were there for the longest time as the doctors monitored me and gave me multiple bags of fluid. Even with the intravenous anti-nausea drugs, I was still dry-heaving and then vomiting any water or crackers I was given. I can't say that I expected anything different. The ER doctor wanted to admit me because of my inability to keep water down, but I let him know this was typical with my pregnancies and briefly explained my history of hyperemesis. He called Dr. Warner (my favorite doctor in the world) and discussed my situation before feeling comfortable with me going home. The two of them arranged for me to get set up on IV therapy starting today, and I am relieved to know I will not have to continually go to the emergency room for fluids before the IV therapy starts. These doctors definitely weren't messing around! I am so grateful I didn't have to beg and plead for help this time around. And in other, more amusing news, the twins did this to their room today when I tried to enforce nap time in their new beds. I thought they would possibly nap because their big boy beds are so cute and inviting, but I was certainly wrong about that. You see what I mean when I say there is definitely no time for throwing up these days? The back story to this pregnancy is incredibly long, but I want to have it recorded for my children (and myself, I suppose). So, here it is! When the twins were just a few weeks old, Nathan had a pretty strong impression that we were going to have another baby. Ezra and Elliott had a doctor's appointment, so he loaded their carseats into the minivan and sat down in his seat. As he was preparing to start the car, he looked back in the rear view mirror at Eliza's empty carseat and had the distinct thought that another child would sit there some day. Because the boys were only a couple of months old, he did not immediately tell me about his experience. I'm sure he thought I would panic if he even breathed the words "another baby." A couple of days after Nathan's experience, I also had the distinct feeling we would have another child. I was taking a shower (I always joke that my profound thinking and spiritual experiences occur while showering because it's the only time I ever have alone) and suddenly had the words, "There's another" pop into my mind. I had just gotten over mastitis, and I have to admit that I wasn't jumping for joy when I had the impression. In fact, I felt overwhelmed and then guilty I wasn't excited about the idea. Of course, I immediately talked to Nathan about my feelings because I process things by talking about them. He then told me about his experience earlier in the week and my heart started pounding as I realized that we would probably be completely crazy and have another baby some day. I knew it was going to happen. Two years later, I found myself sitting in my doctor's office, discussing fertility issues. I assumed I would have no trouble getting pregnant with our last child, but I was wrong. In August of last year, I was again diagnosed with ovarian cysts (and told I had many of the symptoms of PCOS). My left ovary is twice the size of my right ovary due to the cysts, and my doctor felt this condition was affecting my fertility. After two months of daily ovulation tests and not one positive test, I decided to take Progesterone for 10 days in order to regulate my body's hormones. My doctor explained that the Progesterone would essentially help my body "start over" and perhaps trigger ovulation. If the Progesterone didn't work, the doctor then recommended doing a round of Clomid. On February 13th, day ten of taking the medication, I had an appointment to have my teeth cleaned. For some reason, the hygienist took my blood pressure before I had an x-ray of my mouth done and was alarmed by the results. My blood pressure was so low that she called another nurse over to retest me. Again, my blood pressure was 85/60. She asked if I had a history of low blood pressure, and I explained that while it was always low, it was only that low when I was pregnant. I then laughingly joked that being pregnant wasn't possible. However, the seed of "maybe" had been planted in my mind. Nathan was working from home, the children were in bed, and I decided I would take a pregnancy test. I was so sure the test was going to be negative that I didn't even tell Nathan what I was doing. Two minutes later, I stood staring at the positive test with a ridiculous grin on my face. I couldn't stop smiling! I kept thinking, "HOW!?" and laughing at the irony that I was already pregnant when I met with the doctor about my fertility problems. Nathan was helping a student with accounting as I walked up to him and showed him the test. His jaw dropped and he said the same thing I was thinking, "WHAT!? How!?" I guess those ovulation tests were wrong! My doctor later said that my ovulation window could have been so small that a test would have missed it. Whatever the case, we feel incredibly blessed. I'm not sure how far along I am, but we are guessing this baby will be born in October or November. Hooray for miracles! Hooray for another little one! The baby is the wonderful news. The bad news is the fact that I'm already incredibly sick. Things were going fine until earlier this week. I gained a few pounds and a small bump incredibly fast. Only a week after finding out I was pregnant, I definitely looked like I was going to have a baby. I was feeling so fabulous that I thought something might be wrong. And then, the morning sickness/all day sickness/hyperemesis began. This is the difference 10 days can make. February 21st and then today! I am praying that I begin to feel better soon. Mothering two toddlers and a four year old is extremely difficult when I can't even take care of myself. It's only been four days of nonstop vomiting, but I don't know how much more I can handle until I'm going to the hospital for fluids. My friend Marie sent me some essential oils and sea bands to help battle the nausea. Something has to help this time, right?! Going to the park every day has become a crucial part of our daily routine. Once Nathan leaves for his afternoon classes, the children immediately start asking to go outside and "walk." Ezra and Elliott still aren't talking very much, but they continue to go over their letters repeatedly every day. I think a huge reason why they love the park so much is the fact that we practice our letters there on the giant letter caterpillar. We've also started practicing our colors and shapes while there and the boys might have a new obsession (or another one, at least). I haven't felt the greatest this week, and today, I finally gave in to the sickness for a couple of hours and attempted to lay down on the couch while the children watched a movie. Ezra and Elliott refused to leave me alone, though, and how could I say no to two cute boys who wanted to cuddle their mom? I didn't get to relax very much, but I sure did feel loved. Eliza is my little helper. She has been helping since the twins were babies, and she continues to help me with small chores on a daily basis. She happily runs to get me diapers and wipes, plays with Ezra and Elliott and keeps them happy while I clean or cook dinner, and helps me pick up toys at the end of every day. She loves one on one attention, which can sometimes be tricky with two younger siblings. I'm trying to make sure she gets the individual time she so desperately wants each day. We usually end up playing a game, coloring a picture, or simply reading a book together before she falls asleep. Nathan and I both know it's incredibly important to her. and falling asleep with all of her books.